grandma's cookie jar: Special Christmas Giveaways - I Have a Winner for Frozen Wild: How Animals Survive in the Coldest Places on Earth and Another Giveaway in Two Days! 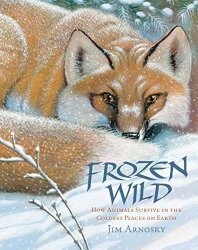 Special Christmas Giveaways - I Have a Winner for Frozen Wild: How Animals Survive in the Coldest Places on Earth and Another Giveaway in Two Days! And thank you Sterling Children's Books for sending one for me to review and for making another available for me to give away! My next giveaway is in two days, on November 5, 2015 . . . I'm giving away a Winged Dragon Hand Puppet from Folkmanis. You'll find my full review and all the specifics for entering this giveaway at the following link. Please share this with the people you know and enter yourself as well . . . who knows??? Maybe you will win!! !